Andrew Hozier-Byrne (born 17 March 1990), known as Hozier, is an Irish singer and songwriter from Bray, County Wicklow. He released his debut EP, featuring the hit single "Take Me to Church", in 2013 and his second EP, From Eden, in 2014. His debut studio album, Hozier, was released in Ireland in September 2014 and globally in October 2014. 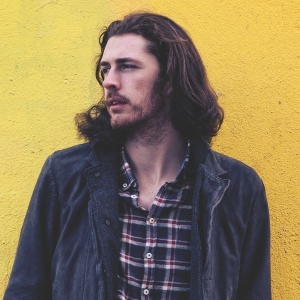 Hozier was born in Bray, County Wicklow, the son of a local blues musician. He attended St. Gerard's School before he began studying music at Trinity College, Dublin, but dropped out midway through his first year to record demos for Universal Music. While at Trinity, he became involved with the Trinity Orchestra. He was a member of the chorale ensemble Anúna from 2007 to 2012, and appears as a soloist on their 2012 release Illumination singing "La Chanson de Mardi Gras". He toured and sang with the group internationally including performances in Norway and the Netherlands.